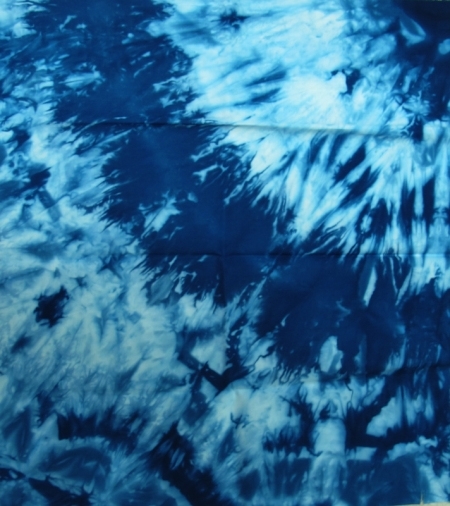 Have you tried Lumi’s Inkodye? A friend and I recently tried out the Lumi Inkodyes, a photosensitive dye product that goes on clear, and changes colour (rapidly) in the sun. Then a variety of objects were placed on top. The fabric (on a piece of cardboard) was then placed in the sun. 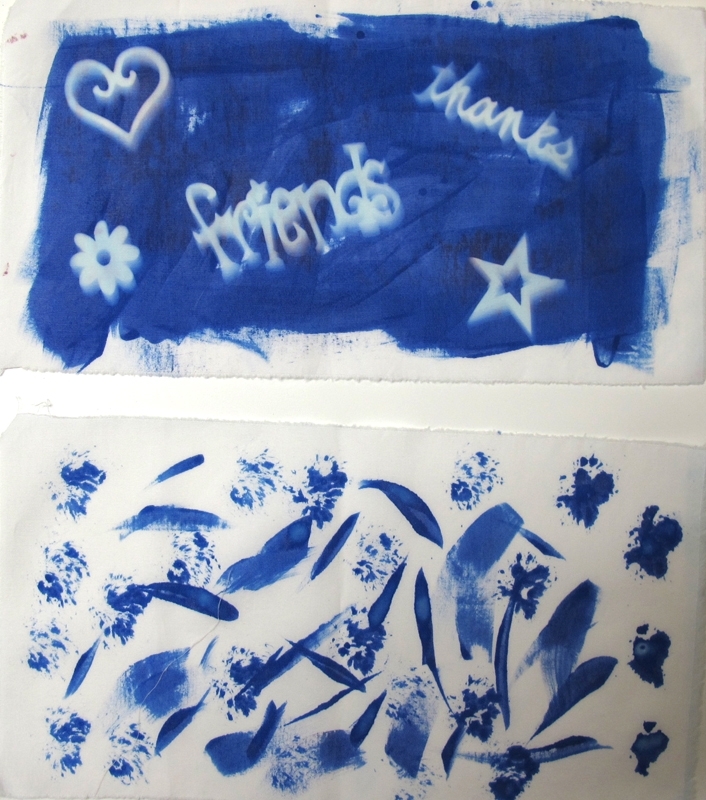 Result of stamps placed on the Inkodye, and brush marks with Inkodye. Stamping with blue Inkodye and effects of mustard seed placed on the Inkodye. 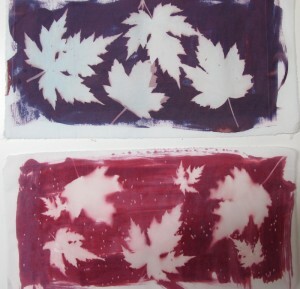 Ghost images of maple leaves. The effects of maple leaves and thread on Inkodye. One issue is the initial ammonia smell. Another is the cost. Each 8 oz. bottle, of one colour, cost us $14.95, so if you want the basic colours it does get expensive. 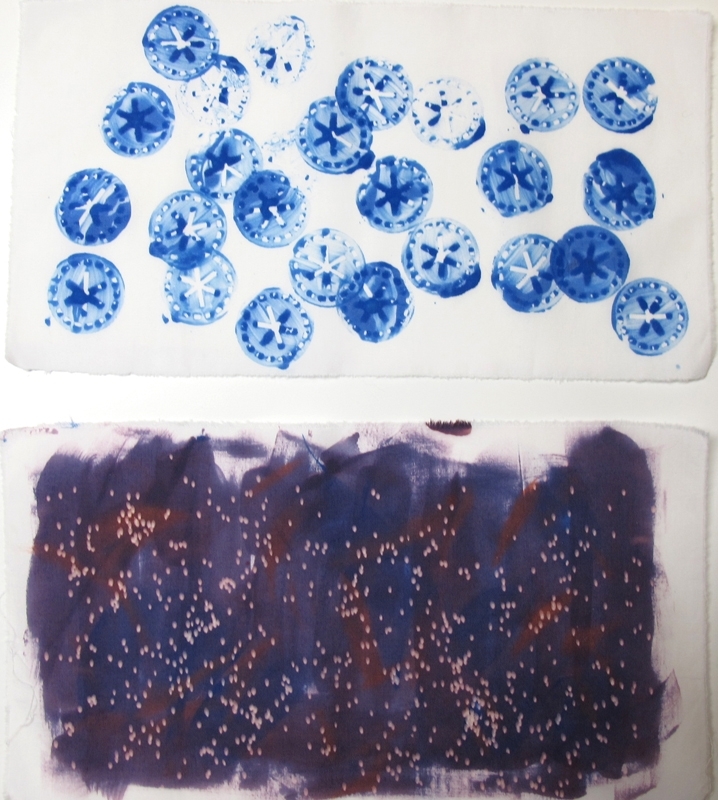 The Inkodye can also be used to transfer an image from an ink jet transparency to a piece of fabric (or a T-shirt). In this case, the picture is made black and white in a photo program, and then the colours are inverted to create the negative. This negative is then printed on to an inkjet transparency. The Inkodye (colour of choice) is painted on the fabric, then the transparency (ink side up) is placed over the Inkodye. Clips at the outer edge can help to hold all the layers together. The assembly is placed in the sun. Whatever was black on the negative, stays the colour of the original fabric, and the clear parts turn the colour of the Inkodye chosen. This product works amazingly fast, as you can see the colour changing, as soon as you are close to sunlight. We used it indoors, as well as outdoors with great success. 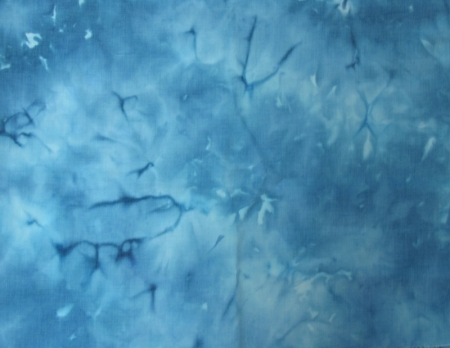 There are some comments, in other reviews, that in afternoon light, or on a cloudy day, the Inkodye takes a longer time in the sun, to fully develop the colour. 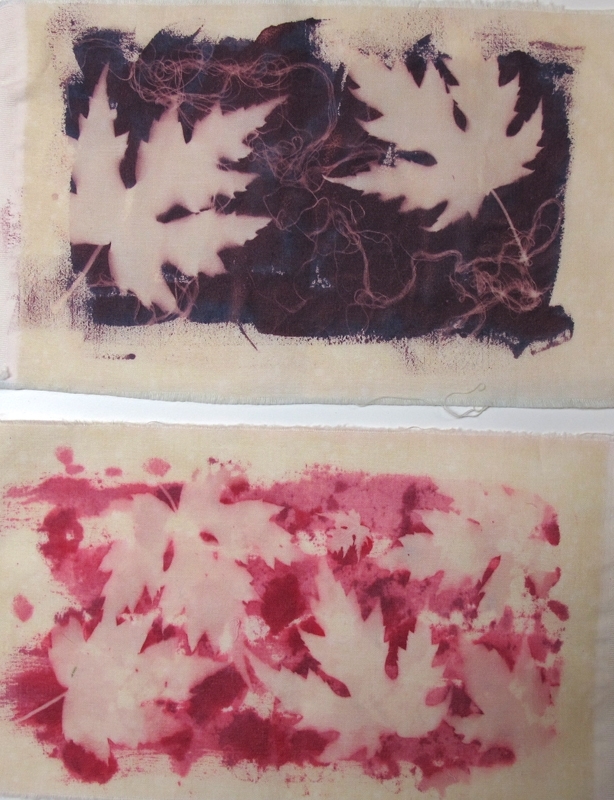 We did notice, that initially we got weird colours, when the dye was just starting to develop its colour. For example, initially the purple looked a weird shade of brown. Working on a sunny day, in the morning, we found that anywhere from 5 – 15 minutes developed the colour fully. Jacquard also has a similar product called Solar Fast. Jacquard has already reformulated it recently, and without the ammonia, and improved the colours. It would be interesting to compare these two products in the future. I have used the Setacolour paints in the past, and enjoyed the results. The Inkodyes certainly change colour faster. I haven’t compared pricing for these two products. 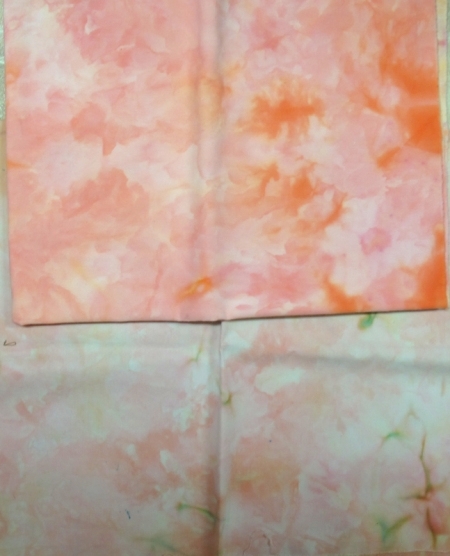 Have you tried the Inkodyes? Let us know what you liked or disliked about them? 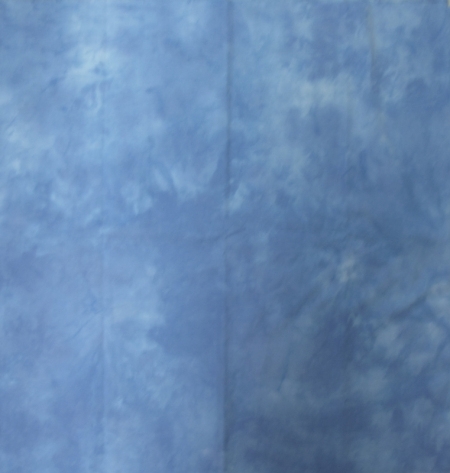 Have you used Setacolour paints, and how would you compare the two products? 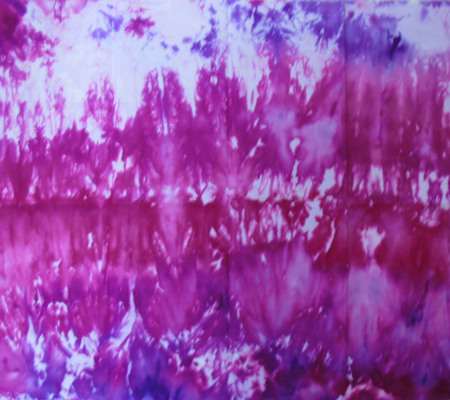 This entry was posted in Dyeing/painting fabric and tagged Inkodye, Lumi, stamping on October 8, 2014 by Valerie Wilson.